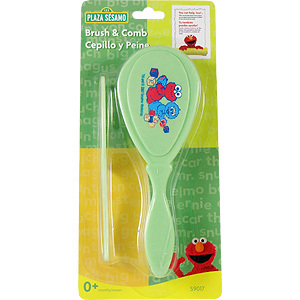 The brush and comb set makes it easy to groom your baby. 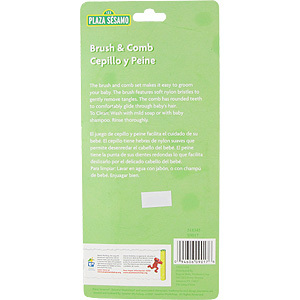 The brush features soft nylon bristles to gently remove tangles. 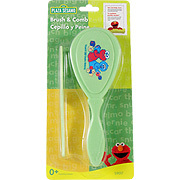 The comb has rounded teeth to comfortably glide through baby's hair. To Clean: Wash with mild soap or with baby shampoo. Rinse thoroughly. Brush & Comb - 2 pc is shipped in a discrete, unmarked package. Orders are processed immediately and usually takes about 3 to 5 working days to be received. We do ask that you try it for 2 to 3 weeks to feel the full effects. Any information received is used only for order processing and shipping purposes. Your information, such as e-mail address, will never be disclosed to a third party.